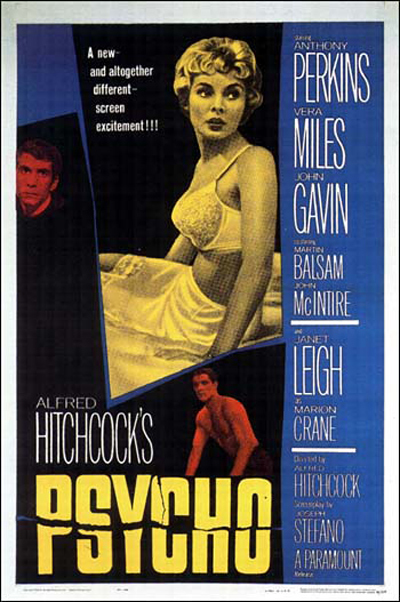 Many of Hitchcock's films were slightly notorious in their day (actually, one of them WAS Notorious, but that's splitting hairs), but Psycho seems to be a thing of legend. (If you don't believe me, watch the movie about it this Thanksgiving.) Groundbreaking in many ways - I love the claim that it was the first film to ever show a toilet flushing - Psycho is one of the most spoiled films in the world these days, yet it's still endlessly fascinating to film lovers everywhere. 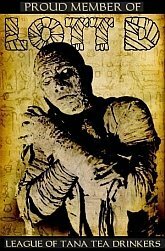 And, for the rare viewer who can see it with a blind eye to the twist, it can still be quite shocking. C'mon - you know the moment. And I'm not gonna talk about it, just in case those blind eyes are reading. But man, is it good. If Psycho's just not sleazy enough for you, you could fast forward about 21 years and watch Brian De Palma's sinister homage, Dressed to Kill. An all-star cast led by Michael Caine (back when he did random horror stuff) and Angie Dickinson (back when she never aged) is framed perfectly by De Palma's trademark style, and a ton of melodrama just makes the whole thing juicy and enjoyable. I love Hitchcock's films more than about anything in cinema, and I can't help loving his most "horror" film. I was one of those kids that saw the movie without knowing what was coming, and I don't remember ever being so intensely involved with what was going on on the screen. Anthony Perkins' performances as Norman Bates has long been my favorite in any film, and I can still watch Psycho any day and just be amazed by how well made it is. I think you know how I feel about Psycho, and I'm so glad it made it so high onto your list. Whatever # 2 and #1 are must be real doozies. So, The Mike, you do delete com-girl-ts, i thought you`d adopted an "anything goes policy" with regards to com-girl-ts that are posted on this site, apparently not, i`m disapointed to say the least ! ! !.